I bought a cheap pin lock to use as a fermenter. I add a spunding valve on about day 5 and try to set to 12-15psi at 48F (it's not super precise). PS. I am brewing 2.5G batches. So the pin lock fermenter is a good fit. Re: Ideas for recipe improvement! A more esters yeast might help. If you like dry yeast try BRY-97, but it is a slow starter, so don't be alarmed. I might do a smaller batch with it before committing to 18 gallons. More hops as others have said. Except for when it's marvelous without doing that. No one is denying that. 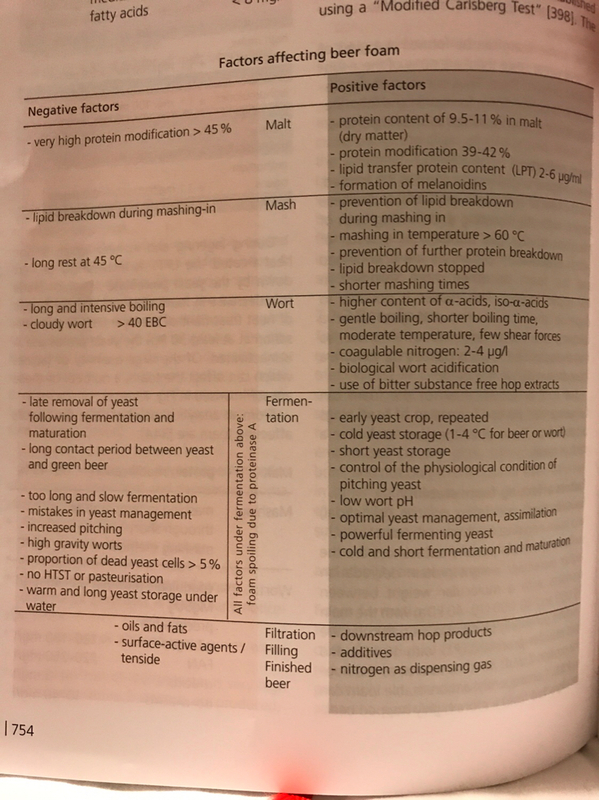 Differing methods can yield the same results in some areas of brewing. Seriously I'd like to know. Some of the things you mention are doable. If there are others I'd be interested in hearing what they are to see if they are doable. The point was just that good foam is not a Low Oxygen thing, it's a good brewing process thing. Denny made it seem like Bryan's methods for surefire foam were putting down any others. It's not a point of contention. If you can get great foam doing whatever it is you do then more power to you. I know that using the methods Bryan described I get the best foam I ever have. Only becasue Bryan made it sound like that was the only way. But neither he nor I mentioned any other practices, which we both should have. We need more point/counterpoint on here. We are just not going to agree on many things and that's fine but there should be healthy debate and not needless obscurantism in response to people having their own opinions. I love to debate, not argue. The former is one of the most stimulating things you can be involved in. The latter, especially for its own sale or the sake of defending one's opinion or position, is completely pointless. I think there is a lot of potential for the former on many topics here. Did I not literally bold, italics and under line the according to me part. I am confused. You did. My bad. I apologize. Call me crazy but when I have down time I read Kunze. Here is foam according to Kunze.